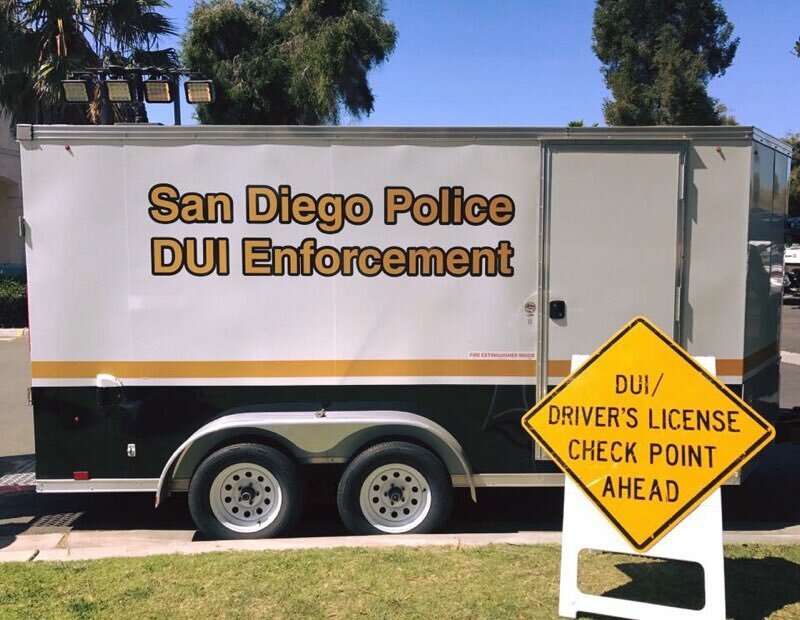 A San Diego police DUI checkpoint that ended Sunday resulted in five alcohol-related arrests and one for possession of brass knuckles. The checkpoint was between 10:55 p.m Saturday and 3 a.m. at 2700 Garnet Avenue, San Diego Police Officer Mark McCullough said. “Checkpoints are placed in locations that have the greatest opportunity for achieving drunk and drugged driving deterrence,” McCullough said. A total of 2,064 vehicles passed through the checkpoint, 606 vehicles were screened and 11 drivers were evaluated for DUI, he said. Officers impounded five vehicles, McCullough said. Another DUI checkpoint is planned for Monday night, he said.